Ukrainian Member of Parliament Serhiy Leshchenko from the Petro Poroshenko Bloc parliamentary faction claims that former president Viktor Yanukovych's Party of Regions used its shadow assets to pay to famous U.S. journalist Larry King and the party's European-based office. "Money from the Regions Party's shadow assets was paid, for instance, to Larry King, a well-known American journalist who had been a CNN host for decades. He got $225,000 from the Regions Party's shadow coffer," Leshchenko said at a press conference on Friday morning in Kyiv. Editor-in-chief of the Internet online publication Ukrayinska Pravda Sevgil Musaieva-Borovyk in turn said that King had received those funds for an interview with the then Prime Minister of Ukraine Mykola Azarov. 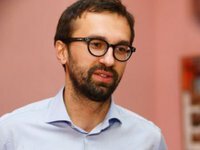 Leshchenko added that there are documents proving that the Regions Party had financed its European office, the European Centre for a Modern Ukraine. The center was co-founded by Regions Party members Leonid Kozhara, Vitaliy Kaliuzhny and Yevhen Heller and managed by German citizen Inna Kirsch. In addition, he also pointed out that the documents provided by former First Deputy Head of the SBU Security Service of Ukraine Viktor Trepak to the National Anti-Corruption Bureau (NABU) mention presidential nominee of the Republican Party in the United States Donald Trump's campaign chief Paul Manafort, who advised Yanukovych. The secret ledgers show $12.7 million in undisclosed cash payments designated for Manafort from Yanukovych's Regions Party between November 20, 2007 and October 5, 2012. On Thursday, August 18, the NABU posted scans of 19 pages from the Regions Party's secret ledgers, mentioning Manafort. "We emphasize that mentioning Manafort's name on the list does not mean that he actually got the money because the signatures that appear in the column of the recipients could belong to other people," the NABU wrote on Facebook.